Bring home the magical kingdom of Enchancia and enter a world full of fun and friendship with Sofia the First 3-inch collectibles and playsets. Enter into the most magical place of Enchancia, the royal castle. Princess Sofia lives in a magnificent castle with her family, where she is learning what it means to be a princess. 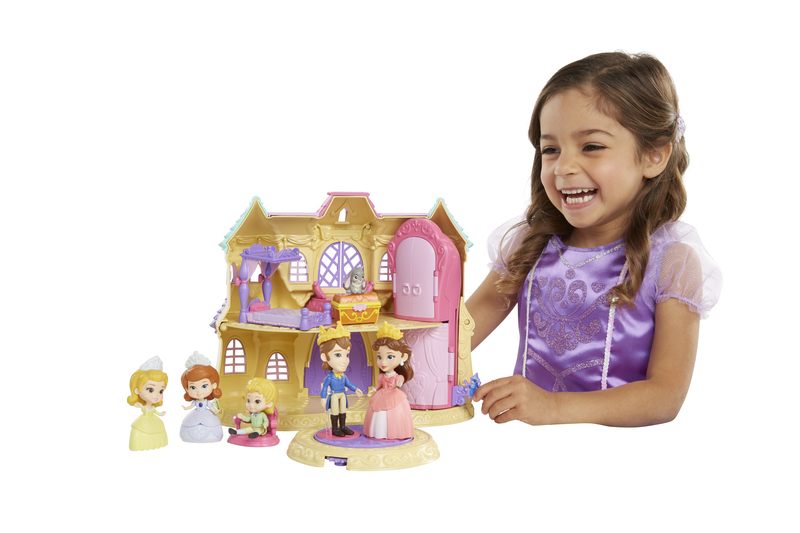 Start your Sofia collection at home with her Deluxe Castle Playset. Sofia’s castle is filled with secret compartments and special reveals. The playset includes one 3” Sofia character and bonus play pieces, such as a chest and canopy bed. Sofia’s Deluxe Castle Playset is a great setting for all of Sofia’s adventures and children will enjoy using their imaginations to bring her magical kingdom to life at home. For your chance to win visit us at www.facebook.com/lovedbyparents give us the thumbs up and write the word ‘Sofia’ in the comment box on the LBP page. 3 winners will be selected at random to win the prize stated above. The winner has 14 days to claim their prize or another winner will be selected. Competition closes on the 21st December, 2016. Previous article What are the secrets to helping kids bounce back to health? Next article Win a Gift ‘ems prize package from Jakks Pacific! What are the secrets to helping kids bounce back to health?